What a wonderful post. Your birds are captivating, I could read about them forever. 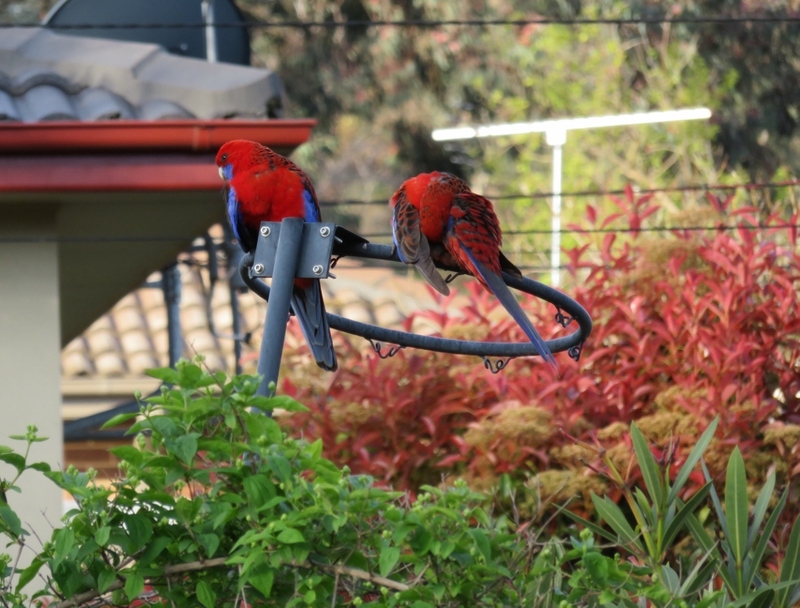 We had a rosella come into the rescue a couple of months ago, it’s red and blue and not a happy bird, how I wish I could send it back to you! Marvelous seeing your garlic crop, I’d love to see more of your garden! I love growing garlic but they don’t grow very large here. I very much enjoyed reading this post. 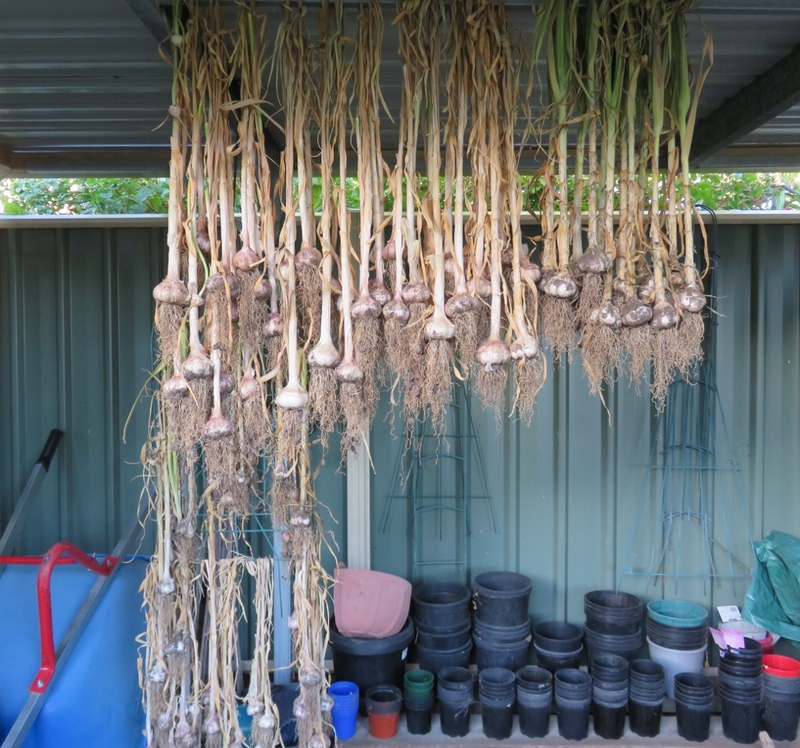 I love garlic and think you are clever to grow your own. 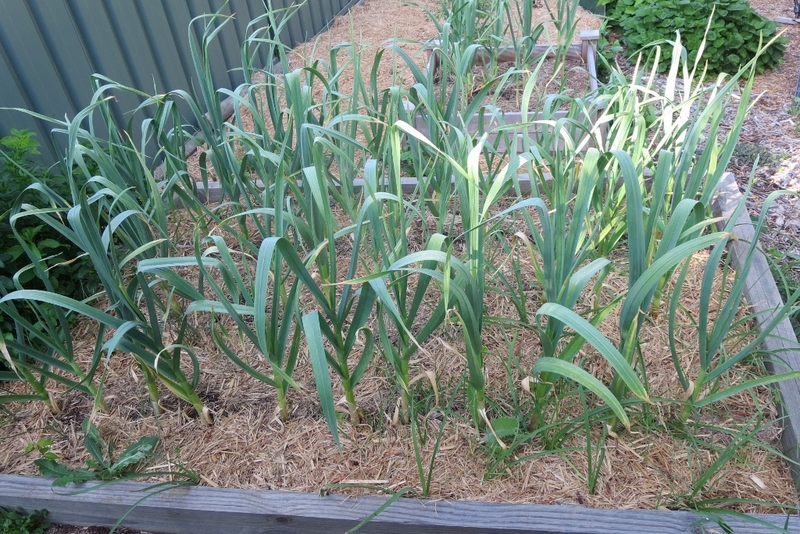 Thanks Susan… Our climate is good for garlic growing & always nice to have home grown food. 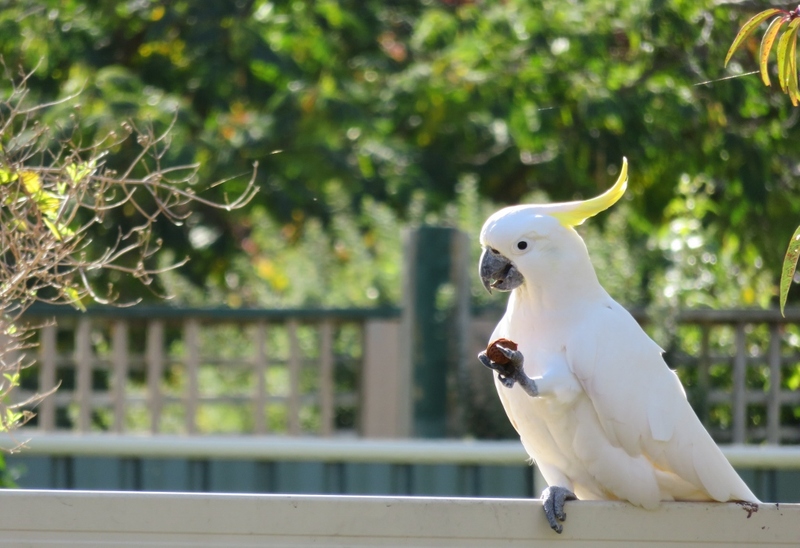 The Cockatoos seem to have a lot of personality, even if they can be irritating. Good for you growing your own garlic. I’ve heard home grown garlic can have a much better flavor. Yes the home grown garlic is tasty…We are trying garlic cloves from different regions to find out if there is a difference in flavour. 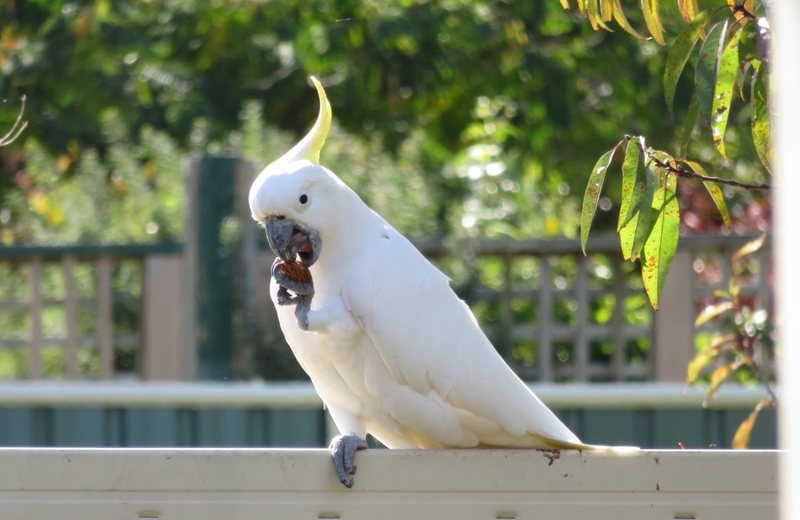 Yes cockatoos are amazing .. They almost talk! 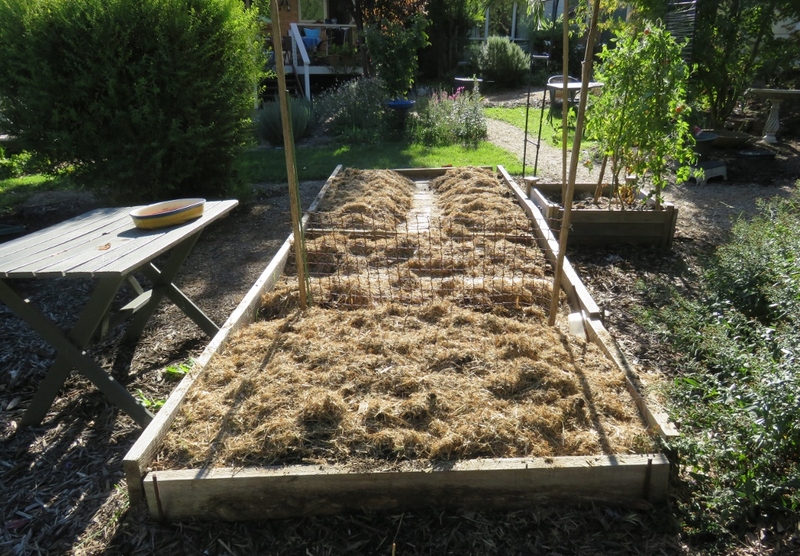 “Autumn garlic planting at the Almond cafe” ….. has such an exotic ring to it. My own birds are much less innovative. 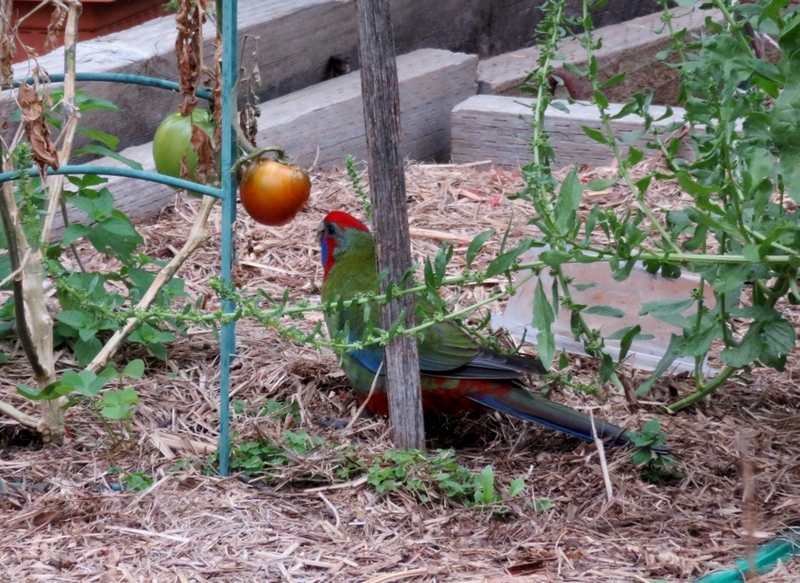 Loud squawks from the Rainbow Lorikeets disturbing the equilibrium of the peace lovers of the garden is about it. P.S. 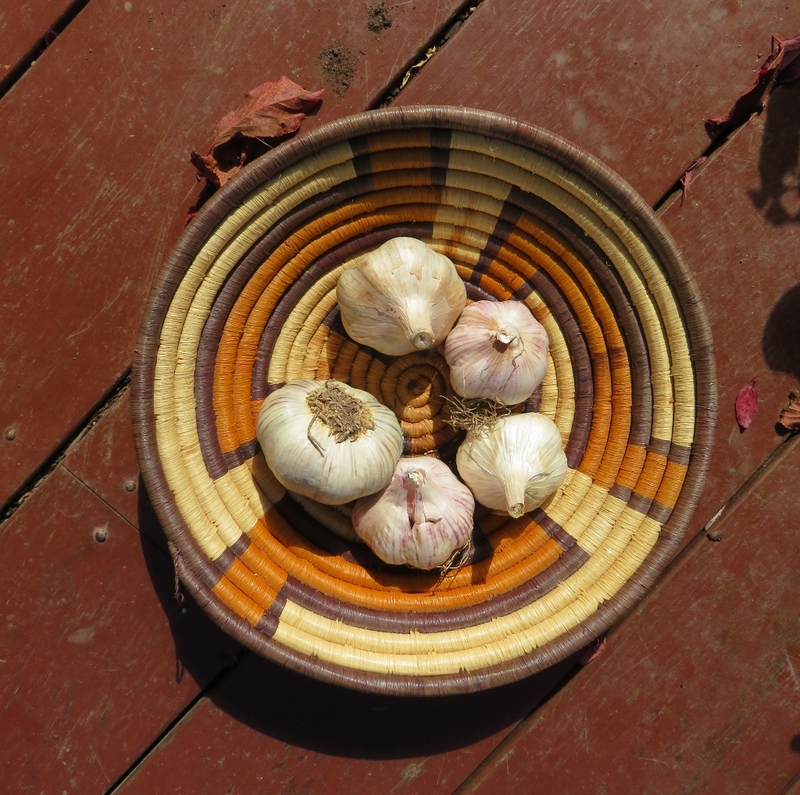 Your garlic harvest is enviable. I have bought some to try, but the best I am hoping for is the clip the greens from the top. I may just be a wee bit too tropical up here in the far north – though there are locals living on the Tablelands who grow it successfully. 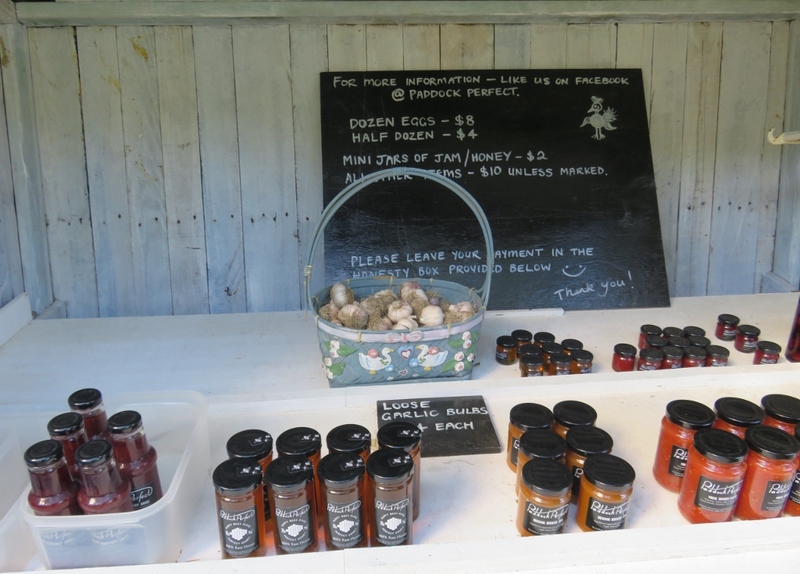 There must be some types of garlic that can be grown in the Tablelands, because you do get cool nights, which they like. We get autumn colors in the trees and you get it in birds. My goodness, they are amazing. I love the name “Lake Crackenback,” it produces such an image! 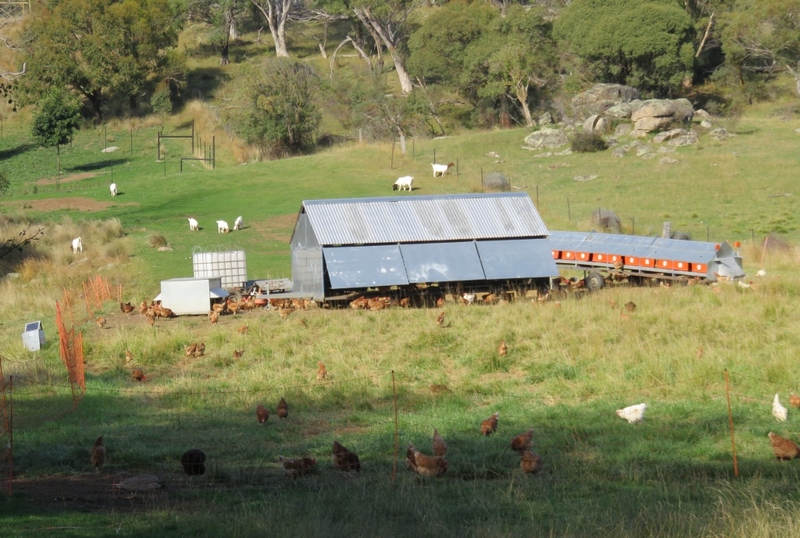 I would be hesitant to name any place Paddock Perfect, fearing a sort of jinx, I guess–once it’s perfect, it’s all downhill … But, in this case, the farm appears to be quite idyllic. 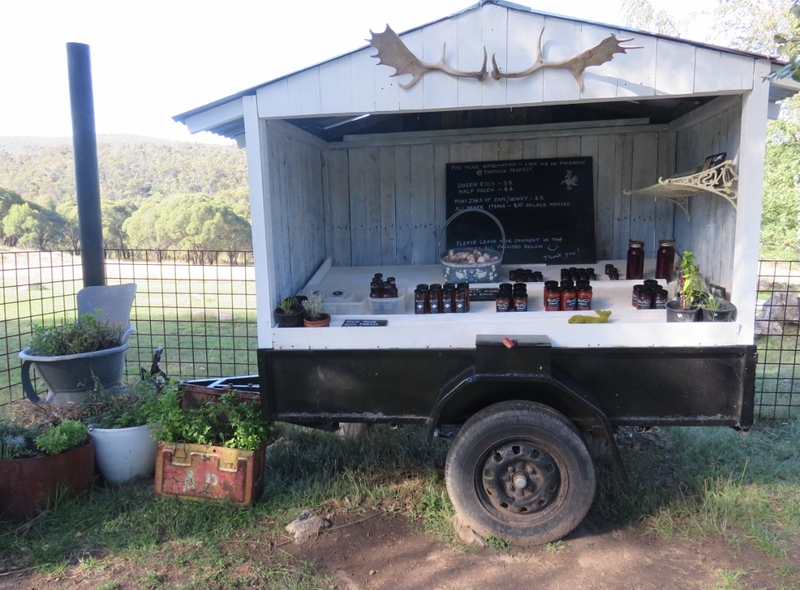 Yes Paddock Perfect looked quite unhurried & everything thriving … Must have relaxed owners! 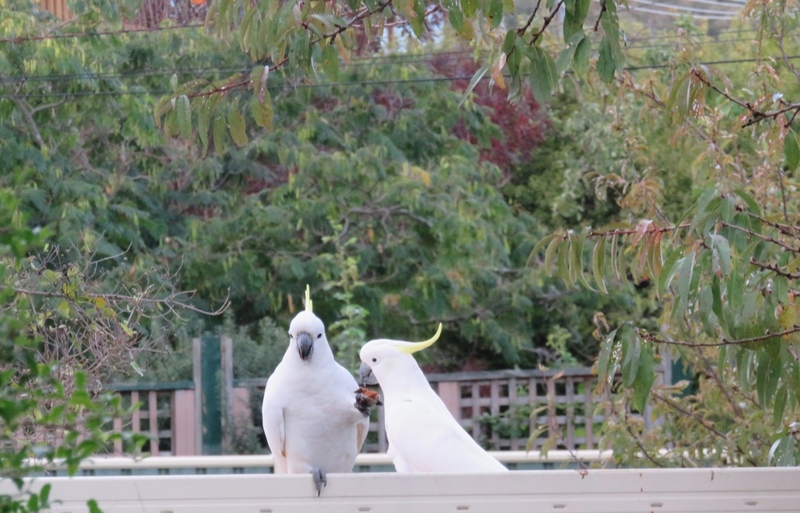 I’m not sure about the almonds but the cockatoos were back today. A farmer here grows black garlic we will give it a try next year.